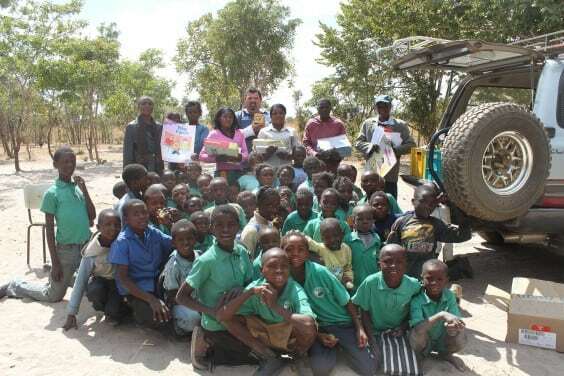 TTN Ministries recognised the need for children to access education within their own communities. 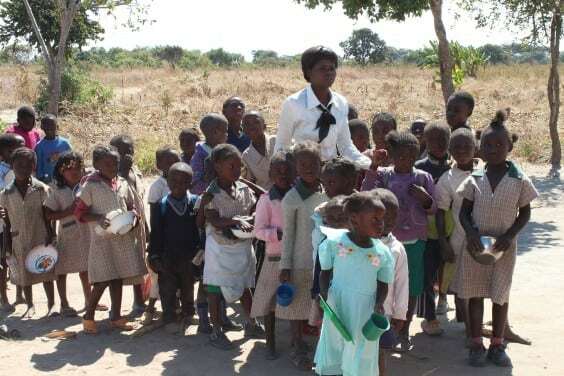 This vision has grown to into partnerships with remote communities and is making a difference in these communities through remote village schools. Children in these communities no longer need to walk over 10klm to school. Education for enriched futures provides resources for teacher education and student learning, supports school feeding and sports programs. The gift of learning is precious and the cornerstone to an enriched future for all of the community. 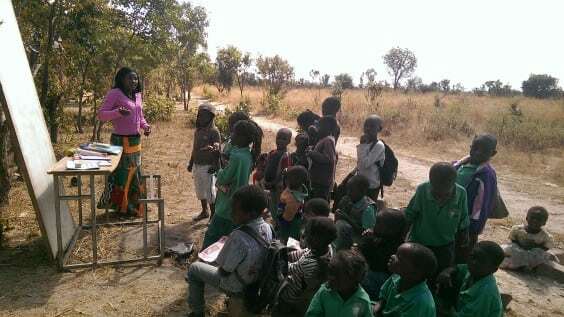 Many students in remote village schools are orphaned and vulnerable children. Living with grandparents or extended family members in underprivileged situations, battling ongoing malarial illness and at risk of poverty-governed futures. Supporting a feeding program encourages the whole community to engage in learning by placing value on each individual, and positioning them for an enriched future through education. There is a need for schools in remote communities, where the distance to the government-run school is often more than 10km. Walking this distance as a 5 year old is impossible, so they wait a few years before starting school. Then they feel embarrassed as they are unable to read like their peers can. Getting ‘to school’ is crucial for an enriched future. A school makes a difference in a community. Teaching young children literacy and numeracy increases their chances of going further with their education. Partnering with school teacher, providing school kits for reading and numeracy and learning kits for students can all be funded for just $200 a month! By working with a the community TTN will build a simple shed structure, providing a place the community can call “school” where both children and adults can come and learn. Most ‘schools’ are born from a small number of community members who want to enrich the futures for people in their own community. 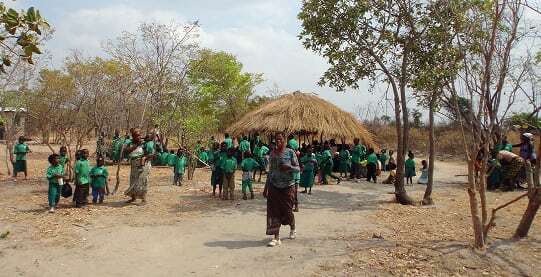 When the school starts off it is usually under a tree, a temporary structure, and occasionally the community will use the local church. However being in a church means some children are not allowed to attend, or are too frightened to go to school.